Every so often I become the angry designer. 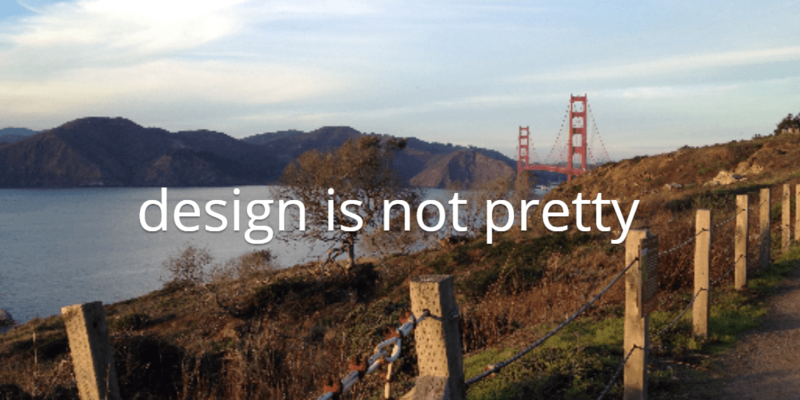 Especially when I hear things like ‘I know what I want it to look like….I can design it myself’. Or ‘it doesn’t need to be pretty, it just needs to be good’. One local restaurateur, whose restaurants I no longer frequent, had the incredible lack of class to tell me that all west coast designers are unimaginative and their restaurant designs all look the same. And he and I have never worked together, so I know first hand that he hasn’t experienced ‘all west coast designers’. Beside which what we do is only minimally about what it looks like. Can you hear me growling? Steve Jobs said it best. You don’t need me, or someone like me, to make your restaurant pretty or your website flashy. You don’t need us to use the ‘in’ colors or the latest coolest fonts. You don’t need us to tell you how to be hip and trendy and current. You need a designer to help you create business solutions so that your business can fly. You need us to have the knowledge to put all of the pieces of your business puzzle together and tell your business story, allowing you to do what you do best: run your amazing business! Designers know that if you are designing a restaurant you need to consider equipment, acoustics, lighting, style of service, furnishings, ventilation, codes, budget and so much more. We bring expertise in all of these areas and we have relationships with the people who will do much of this work….we don’t just show up at the end and make it pretty! And designers know that if you are designing a website you need to consider hosts and domains and content management systems and landing pages, CTAs and KPIs and CSS. This knowledge is what we bring. And if we’re talking about a designer who also creates content (like yours truly), we also bring an innate ability to listen and synthesize and build the story of your business. We don’t just make your site flashy! But if you do, understand what you are taking on. Your business needs to work well and look good. So when you are done, and you need to hire a designer to fix what isn’t working, please have the courtesy to treat us with respect. We studied for years before we took our first jobs, and the knowledge that we have amassed to help you build your business was hard won. So next time you are in conversation with a designer, please don’t mention pretty. We are so much more than that.